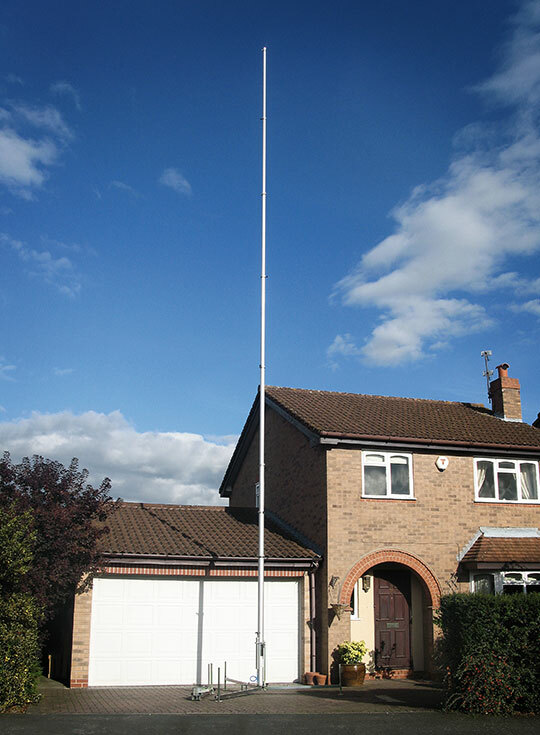 Why a Lightweight & Portable Mast? 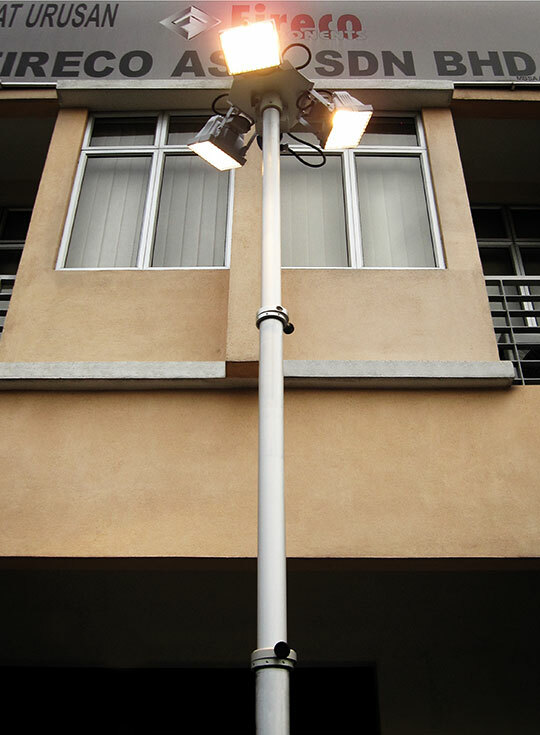 The Lightweight Vertical Mast series is our lightest and most economic series, designed to handle modest lighting units and other small equipment. Constructed of high quality aluminum alloy tubes which are anodized and corrosion-proof, they can withstand extreme temperatures and weather. 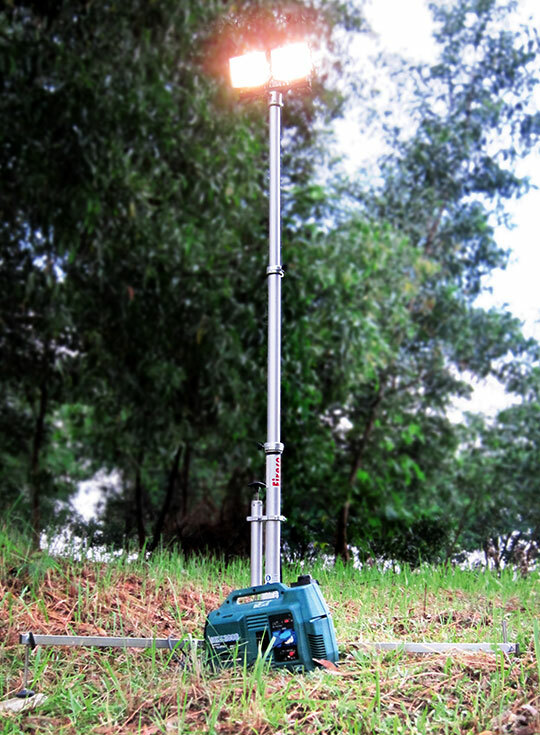 Each unit can be equipped with a hand pump to easily reach your desired extended height. Each section has a sturdy locking device to prevent turning of the sections. Mast heads have a 024mm PIN connection for mounting various lamp heads, measuring equipment or antennas. 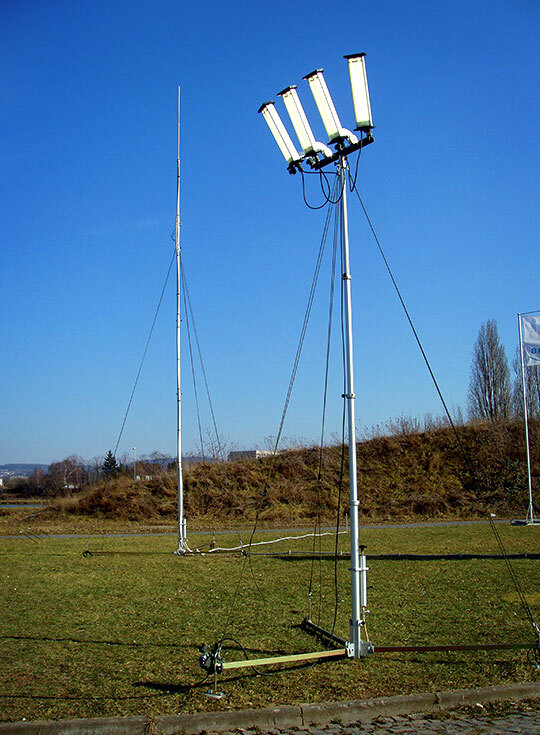 These lightweight telescopic masts are outfitted with an external cable and are available in five to eleven sections. They are suitable for smaller top loads. Expanding on our lightest and most economic series, these lightweight telescopic masts are equipped with an internal cable. 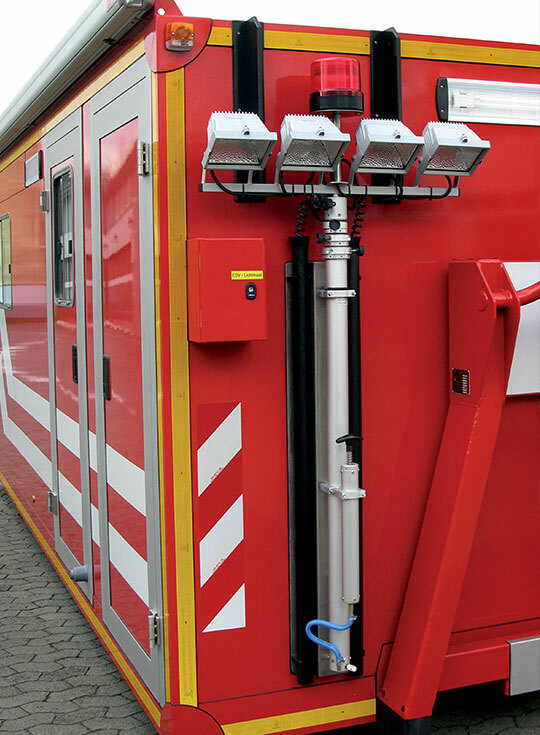 The location of the cable within the mast provides a protected, secure and streamlined design for electrical and data wiring. 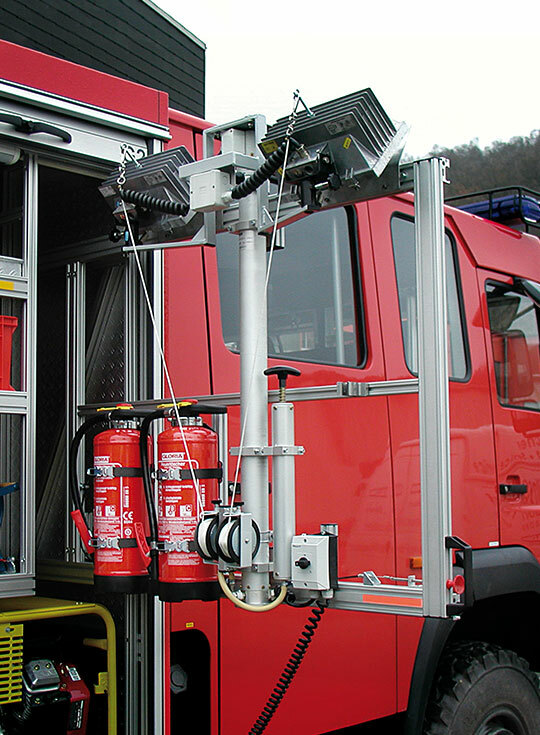 These masts are available in three to five sections and are suitable for lighter top loads.